Imagine being inside your home and being able to bring your outdoor space inside–maximizing your living space in every way while creating a stunning view! More and more construction companies in Las Vegas are installing scenic doors for homeowners who have homes with desirable outdoor landscapes they wish to blend into their home. Scenic doors will increase your floor plan tremendously and allow for seamless transition from interior to exterior–giving you a generous, unobstructed view. Scenic doors will blend your indoor environment with the outdoors with simple, effortless operation. Scenic doors will make your room feel larger and more open, allowing for more air, light, and peripheral views. The outside becomes an extension of your living space and gives your home a dramatic new environment. 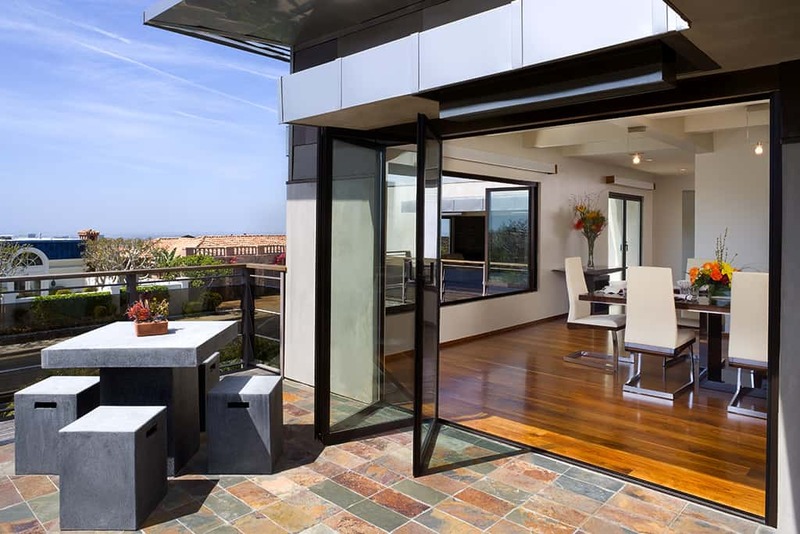 For spaces without pocketing options, folding scenic glass door systems are the answer. 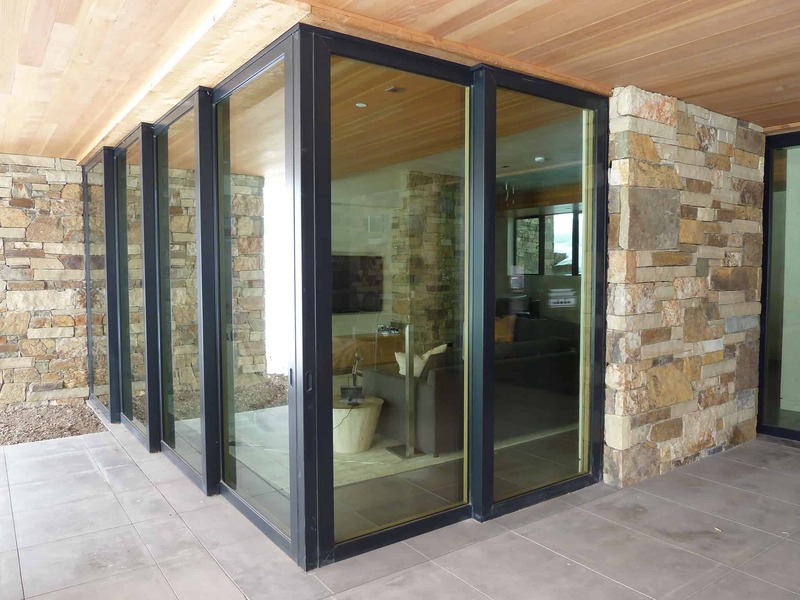 Folding scenic doors are designed to fold away and stack to the interior or exterior side of your walls–maximizing the opening without having to pocket. These exquisite doors are used along a single track system allowing you to expand your entire living space. Folding scenic doors are made up of multiple panels up to 10 in one direction and used along a single track system. The weight of the panels is carried along the header, allowing for ease of operation. Openings can be as wide as 55 feet with a wide variety of panel configurations and personalization options–as well as a large range of colors, finishes, glazing, sizes and materials to choose from. 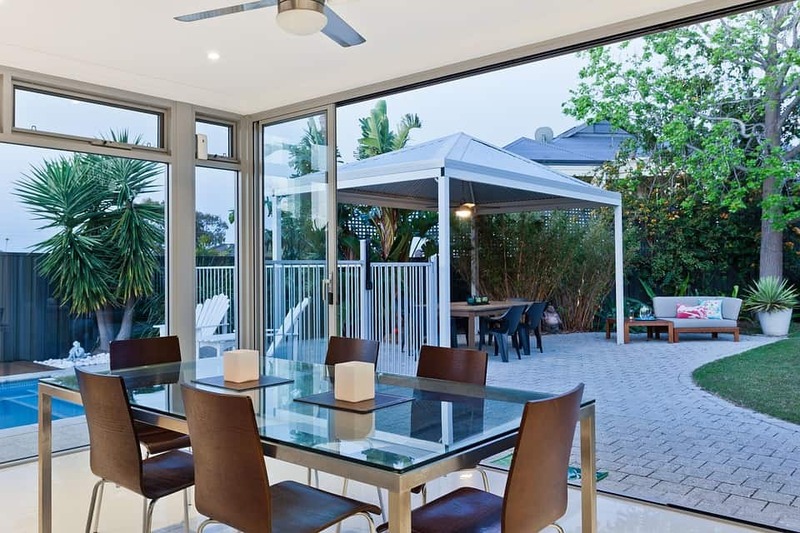 Folding scenic doors are a beautiful way to blend your indoor and outdoor environments to give you the atmosphere in your home you have been dreaming of. When you are ready to install your folding scenic doors, contact your home remodeling contractor to assist you in the process of choosing the right ones for your home. These extraordinary lift and slide doors with premium hardware are a European inspired design and beautifully accent any architectural space, creating a seamless transition to the outdoors. While in a “down” position, the lift & slide panels create a weather-tight wall system using their own weight to compress the seals. When in an “up” position, the panels (weighing 200 pounds or more) are easily moved with minimal pressure. Lift and slide scenic doors can be pocketed or non-pocketed and are available in a number of wood types, colors and finishes. They can be configured straight, angled or radius and are barefoot-friendly as the slightly visible floor track is only 3/16” rail. The lift and slide scenic doors feature energy-saving properties as well as superior sound insulation. Interior designers in Las Vegas will confirm these doors are top choice for both residential and commercial businesses, as they produces stunning interior to exterior blended environments with unobstructed views, creating an amazing atmosphere for all to experience! The Multi-slide scenic door solution, an alternative to lift & slides, operates effortlessly on specially designed stainless steel rollers revealing equally stunning views to the outdoors. The Multi-slide option is not only cost-effective, but can also be pocketed as the lift & slide doors. This highly engineered sliding door system is normally made up of multiple panels– usually varying between 3 and 10, based on the configuration and number of desired vertical sight-lines. This line of door systems has many options available for materials and track types. With Multi-slide scenic doors, the panels may all stack on one end behind each other to create a total opening other than the one panel width. However, all of the panels may also be pocketed to one or both sides of the opening. Stacking systems may also bi-part and stack on both sides. Your remodeling contractor can advise you if this type of door is the best for your home, as well as helping you choose between different vendors that carry these door systems. Horizontal Sliding Wall door systems are multiple panel doors all operating along a single recessed channel track system. This design uses a tracking system that allows many panels to cover a large oversized opening without needing the tracks to be stacked, thus eliminating a large jamb width requirement. This product is very popular with commercial businesses, although many homeowners also find that this is their preference for scenic door systems. If you are interested in an HSW door system for your home, your Las Vegas contractor will help you to determine which solution is right for you. 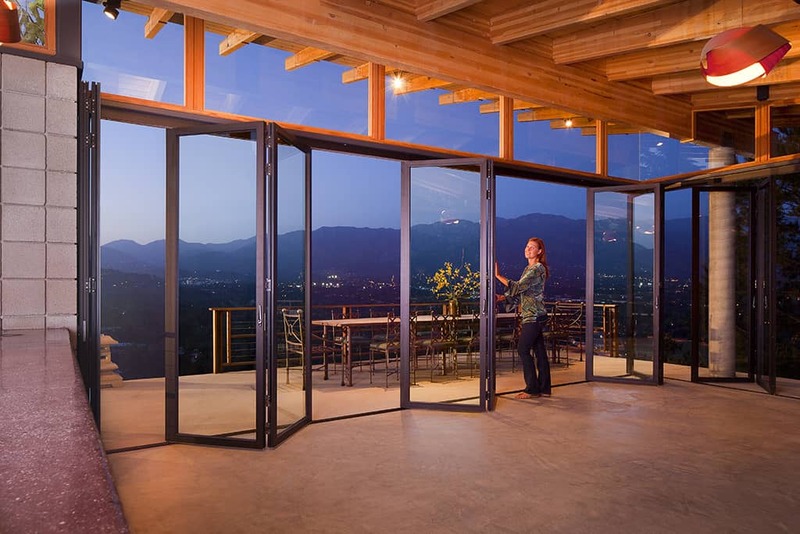 For those who love the outdoors and have big dreams for their home, having scenic doors is the ultimate choice for a one-of-a-kind view that you can enjoy every day. With scenic doors there won’t be anything to stand between you and your glorious view. Bring the outdoors in by effortlessly connecting the space inside your home with the environment outside. As a general contractor in Las Vegas, GI Construction will help you attain this picturesque setting in your home that you will treasure for years to come. Our project managers have extensive knowledge and background with custom doors and windows and will be sure to help you choose the perfect scenic door system for your family.